 To join GBRAR first make sure that you've gotten your license to practice real estate in Louisiana. More information about obtaining a Louisiana real estate license is available from the Louisiana Real Estate Commission. Come to the GRBRAR offices, located at 14101 Perkins Road, Baton Rouge, LA 70810, and complete the membership application form. Before becoming a member you will need to complete our two-part Orientation class, which consists of Indoctrination and Structural Measurement. You must comply with all application procedures required by the LREC. This includes the submission of criminal background history. You must be sponsored by a licensed real estate broker who is a member of GBRAR and provides proof of errors and omissions insurance prior to license issuance. New to the business or thinking about becoming a real estate agent? Then you most likely have a few questions. Below are answers to some of the most frequently asked questions we receive. If you don't find the answers you're looking for here, please don't hesitate to contact Tracy Fletcher, Director of Membership. What is an LFRO office? New member orientation is now online for your convenience. Contact our Director of Membership, Tracy Fletcher, to get started. How do I get a keycard/or key box? When you join our Association you have access to the Supra lockbox system. Please note that your key card lease with our lockbox provider is renewable in August of each year. You can also have this service on your iPhone, Blackberry or Android. You can also purchase electronic lock boxes in our REALTOR® Store. It offers one of the widest career selections in the business world today. Helping people buy and sell homes, office buildings, industrial property and corporation farmland, property management, land development, mortgage banking, urban planning, real estate counseling, appraisal, and research are all aspects of a career in real estate. Working in real estate allows for independence and choices of the environment in which to work, such as affiliation with a large or small firm as a listed salesperson. With more experience and upon the passing of an additional exam, becoming a real estate broker is the next step. Brokers can own their own businesses and employ other salespeople. Colleges and universities now offer a variety of real estate and related courses. At many of these colleges, students can specialize in a program that leads to a bachelor's degree in real estate. Some universities offer graduate level courses. Contact your local public library for university and real estate college course information and directories. Entry into the real estate profession takes preparation. As with other professions, licensing is required. Licensing requirements vary from state to state, but all require prospective salespeople and brokers to pass a written exam. For more information on licensing in Louisiana, contact the Louisiana Real Estate Commission (LREC) at 225-765-0191 or at the LREC website. In order to obtain a broker's or sales agent associated license, Louisiana specifies special education and/or experience or their equivalents. Entry into the real estate field depends on education, training, and interests. Most people begin as sales trainees in a brokerage firm. Other possibilities include office assistant, listing or rental agent, assistant in a department of a large real estate organization, or in the mortgage division of a bank or savings and loan. Formal education is available while working in real estate. The NATIONAL ASSOCIATION OF REALTORS® and its Institutes, Societies, and Councils sponsor continuing education programs for members, and award designations for specialty areas of real estate. Continuing education increases knowledge and skills, improving earnings potential and enhancing opportunities for success. Helping people buy and sell homes is one of the most important and basic services a real estate agent performs. Agents are experts in the process of buying and selling property, financing, government programs, etc. The real estate agent's expertise facilitates the transaction, saving clients time, trouble and money. Real estate professionals need to have a thorough knowledge of such areas as real estate law, local economy, fair housing laws, types of financing, mortgages and government programs. Contact the Council of Residential Specialization the Web or call them at 800/462-8841. Commercial brokers specialize in income-producing properties, such as apartment and office buildings, retail stores and warehouses, shopping centers and industrial parks. To understand and explain why the properties are good investments, commercial brokers need to be aware of the growth possibilities of the area where the property is located, current income tax regulations and purchasing arrangements that give the buyer a greater return on investment. Commercial brokers may also have to arrange to finance. Contact the CCIM Institute at 800/621-7027. Industrial and office brokers specialize in the developing, selling or leasing property used for industry or manufacturing. Brokers need to understand different types of industries and determine such variables as transportation, proximity to raw materials, water and power, labor availability and local building, zoning, and tax laws. Contact the Society of Industrial and Office REALTORS® at 202/737-1150. Land brokers deal in land for farming, and acquisition of rural land by cities for residential, commercial and industrial expansion. Success as a land broker depends on how accurately the income potential of the property can be established. Brokers need a good working knowledge of various factors which determines a farm's capacity to produce, including agricultural knowledge and information such as market centers and transportation facilities. Contact the REALTORS® Land Institute 312/329-8482. Real estate appraisers determine the value of properties. Real estate is appraised to determine many types of values—assessed value for tax purposes, investment value or present value for potential investors, "book" value of accounting purposes, rental value for income projections and insurable value. Appraisers need to know acceptable principles of appraisal and related information. They need to have practical experience, technical education, good judgment and some knowledge of mathematics, accounting, and economics. Contact NAR's Appraisal Specialty section at narappraisalsource@realtors.org or call 800/874-6500, ext. 8393. The property manager's primary function is to maintain the property in order to produce the highest possible financial return over the longest period of time. More importantly, they are responsible for protecting the owner's investment. Managed commercial properties are likely to be office buildings and shopping centers. Residential properties might be apartment buildings, apartment developments, condominiums and groups of homes owned by a single investor. Property managers usually work for real estate firms. However, other opportunities are found in the real estate department of banks and trust companies. For large housing and commercial development, managers are often expected to maintain an office or residence of the premises and work with only one enterprise. When living on-site, property managers can expect to be on call for emergencies at all times, beyond maintaining standard working hours. Contact the Institute of Real Estate Management at 800/837-0706. If you would like to improve the environment and the quality of people's lives, becoming an urban planner may fulfill your career objective. Urban planners work with local governments and other civic groups to anticipate their city's future growth. They propose physical changes to accommodate this growth. Not many career guidelines exist for urban planning, but broad general experience is important. Some colleges are now offering degrees in urban planning. Contact the Urban Land Institute at 800/321-5011 or visit their Web site. Real estate counselors are in the business of giving advice about property. They are the experts that others seek when they want answers to real estate questions. Counselors must know every phase of the real estate business because they use that knowledge in nearly every consultation. Often they will be asked about income opportunities and productive uses of different kinds of properties. There are relatively few brokers specializing in counseling, but the field will grow as investors and owners realize the value of expert advice in developing the property and improving income. While accumulating experience in other real estate specialties, people planning to become real estate counselors also continue to study in continuing education programs in financial management. Contact the Counselors of Real Estate at 312/329-8427. Research can be divided into two main categories — physical and economic. Physical research means studying buildings and structures of all types, especially in terms of the selection and efficient use of construction materials. Economic research consists of determining reliable answers to questions like "How many people hope to buy homes next year?" "What will it cost them to borrow mortgage money?" and "What percentage of the nation's homes are sub-standard?"